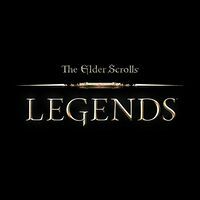 The Elder Scrolls: Legends is a digital card strategy spin-off of the Elder Scrolls franchise developed by Dire Wolf Digital for PC, Mac, iOS, and Android. The game is free-to-play. A fall 2015 release was initially announced, although that date was subsequently removed from the official website. On December 17, 2015, Pete Hines confirmed that it would not be out by the end of the year. Beta sign-ups opened on April 21, 2016 alongside the launch of the product website on Bethesda.net. The NDA was lifted on July 27, 2016, and it entered open beta on PC on August 4, 2016. The game was officially launched on March 9, 2017. It launched on Steam for PC and Mac on June 1, 2017. The iPad version entered open beta on October 6, 2016, but was only available in Canada. It was released on March 23, 2017 in all regions. The Android tablet version entered open beta on April 6, 2017, but was only available in Canada and Poland; initially announced for an April release, it launched on June 1, 2017. It was released on mobile for both Android and iOS on July 26, 2017. On May 31, 2018, it was announced that the development of the game would be passed from Dire Wolf Digital to Sparkypants Studios, who would be rebuilding the game client from scratch. The new client was released on 26 September, 2018. This page was last modified on 2 February 2019, at 10:01.